After that, the newly named Led Zeppelin went on to record their debut album in London. In an interview, Page said that the album only took about 36 hours to record and mix. The material they selected for the album was already very well rehearsed and pre-arranged by the band. The studio time was paid for by Page and the bands manager, Peter Grant. Page said they did it this way because they didn’t want record company money to be wasted on excessive studio time and because Page wanted to ensure complete artistic freedom. The album was completely recorded before they went to Atlantic. They handed them their tape and got signed. The album was produced by Jimmy Page and engineered by his childhood friend, Glyn Johns. With very few over-dubs, the album is a completely live album with the original live tracks. In the 1960’s, most music producers put the microphones in front of the amplifiers. During the recording of Led Zeppelin’s debut album, Page used an additional microphone a distance away (up to 20 feet) from the amplifiers and recorded the rooms ambiance, a technique he calls “distance equals sound”. Led Zeppelin was the first band to ever use this technique. 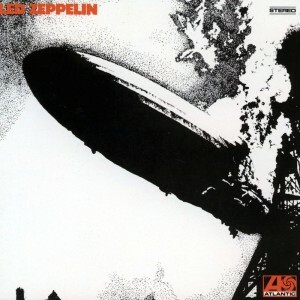 Recorded in October of 1968 at Olympic Studios in London, Led Zeppelin’s debut album was released by Atlantic Records on January 12, 1969 in the US and on March 31 1969 in the UK. The album was not well received by critics but was very successful commercially which helped them see the album in a different light. In 2003, the album was ranked 29th by Rolling Stone magazine’s list of the 500 Greatest Albums of All Time and held that position again in 2012. In 2004, the album was inducted into the Grammy Hall of Fame. To this day, one would find that many music lovers have a copy of this vinyl in their collection, whether it be an original pressing or a reissue, Led Zeppelin’s debut album is one to remember.